The Liberal Democrats have been described by the New Statesman as "unsparing in their criticism of the unfairness of first-past-the-post," and are fully committed to electoral reform, including Alternative Vote and proportional representation. It is consideredone of their most popular policies, and described by the New Statesman as "one policy with which the Liberal Democrats are identified in the minds of the public." ^ Anthony Wells. "Latest voting intention 20 April 2010". YouGov. Retrieved 20 April 2010. ^ "Scribd". Retrieved 27 November 2010. The 2015 Spelthorne Borough Council election took place on 7 May 2015 to elect all members of Spelthorne Borough Council in England as one of the 2015 local elections, held simultaneously with the General Election. The 2015 Surrey Heath Borough Council election took place on 7 May 2015 to elect all members of Surrey Heath Borough Council in England as one of the 2015 local elections, held simultaneously with the General Election. The 2019 elections to Nottingham City Council will be held on 2 May 2019 to elect all 55 members to the council across 20 wards. The Conservative candidate for Wollaton West, Carl Husted, was suspended by the Conservative Party after comparing people who voted for Remain in the EU Referendum to those who voted for the Nazis. Alison Mary Suttie, Baroness Suttie (born 27 August 1968) is a British Liberal Democrat politician. She was appointed a life peer in the House of Lords in September 2013. A party whip, she is a member of the Liberal Democrat foreign affairs team. She is also a trustee on the board of IPPR. Campaigner for public awareness of tuberculosis in the UK and internationally and also a campaigner on homelessness issues. Barbara Lilian Janke, Baroness Janke (born 5 June 1947) is a British teacher and politician. She was the Liberal Democrat leader of Bristol City Council from 2005 to 2007 and from 2009 to 2012. She has been Councillor for Clifton ward since 1995. She was leader of the Liberal Democrat group since 1997, with a break from 2007 to 2008. In August 2014 Cllr Janke was named as one of six new Liberal Democrat working peers. Robert Adam Ross Maclennan, Baron Maclennan of Rogart, (born 26 June 1936, Glasgow), known popularly as Bob Maclennan, is a British Liberal Democrat life peer. 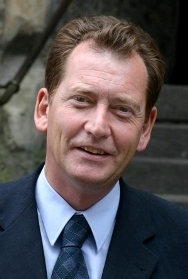 He was the last leader of the Social Democratic Party (SDP), serving during the negotiations that led to its merger with the Liberal Party in 1988. He then became joint interim leader of the new party, known as the Social and Liberal Democrats (SLD) before later becoming the Liberal Democrats. David William George Chidgey, Baron Chidgey (born 9 July 1942 in Basingstoke) is a Liberal Democrat politician in the United Kingdom. A former Member of Parliament (MP) for Eastleigh, he now sits in the House of Lords. David Trevor Shutt, Baron Shutt of Greetland (born 16 March 1942) is a British Liberal Democrat politician, who served as Captain of the Yeomen of the Guard and Deputy Chief Whip in the House of Lords between May 2010 and May 2012. Diana Margaret Maddock, Baroness Maddock, Lady Beith (born 19 May 1945), is a Liberal Democrat politician. Jennifer Elizabeth Randerson, Baroness Randerson (born 26 May 1948) is a Welsh Liberal Democrat member of the House of Lords. She is former junior minister in the Wales Office, with specific responsibility for education.She is a former Cardiff councillor and was an AM from 1999 to 2011, when she was created a life peer. She was a member of the Welsh Labour-Lib Dem administration of the 2000–2003 Welsh Assembly Government. Jonathan Oates, Baron Oates (born 28 December 1969) is a British Liberal Democrat politician and member of the House of Lords. 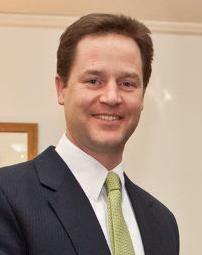 A past Chief of Staff to the former Deputy Prime Minister of the United Kingdom, Nick Clegg, he was previously the Director of Policy and Communications at the Liberal Democrats. Navnit Dholakia, Baron Dholakia (born 4 March 1937) is a British Liberal Democrat politician and the Deputy Leader of the Liberal Democrats in the House of Lords. Paul James Scriven, Baron Scriven (born 7 February 1966) is a Liberal Democrat politician and former Leader of Sheffield City Council (2008–11), who was once described as Nick Clegg's "closest ally in local government". George Philip Willis, Baron Willis of Knaresborough (born 30 November 1941, Burnley) is a politician in the United Kingdom. He is a Liberal Democrat member of the House of Lords, and was Member of Parliament (MP) for Harrogate and Knaresborough from 1997 until retiring at the 2010 general election. Up to that date he was the chair of the House of Commons Science and Technology Committee. Qurban Hussain, Baron Hussain (Urdu: قربان حسین‎; born 27 March 1956) is a politician and life peer, born in Kotli, Azad Kashmir.He was the unsuccessful candidate for parliament for Luton South in 2005 and 2010. He was firstly a member of the Labour Party, from 1996 to 2003 but then joined the Liberal Democrats. He has been a member of Luton Borough Council since 2003, serving as its Deputy Leader from 2005 to 2007. He was created a life peer as Baron Hussain, of Luton in the county of Bedfordshire on 20 January 2011. Previously aligning with the Liberal Democrats, Hussain withdrew from the party in March 2015 amidst a scandal involving his allegedly smuggling a two-year-old Kashmiri boy into the UK decades earlier, he was later readmitted. Rosalind Mary Grender, Baroness Grender, , known as Olly Grender, (19 August 1962) is a former Head of Communications for the Liberal Democrats and a party life peer. Sarah Virginia Brinton, Baroness Brinton (born 1 April 1955), known as Sal Brinton, is the President of the UK Liberal Democrats. In November 2010 she was nominated to the House of Lords, taking her place on 10 February 2011 as Baroness Brinton, of Kenardington in the County of Kent. Shaista Ahmad Sheehan, Baroness Sheehan is a British politician and life peer. She was nominated for a life peerage by Nick Clegg in August 2015.Sheehan served as councillor for Kew from 2006 to 2010. She has also stood for Wimbledon at the 2010 and 2015 general election, finishing second and third, as well as the London Assembly election, 2012. She lives in Putney. She was created a life peer taking the title Baroness Sheehan, of Wimbledon in the London Borough of Merton and of Tooting in the London Borough of Wandsworth on 2 October 2015.